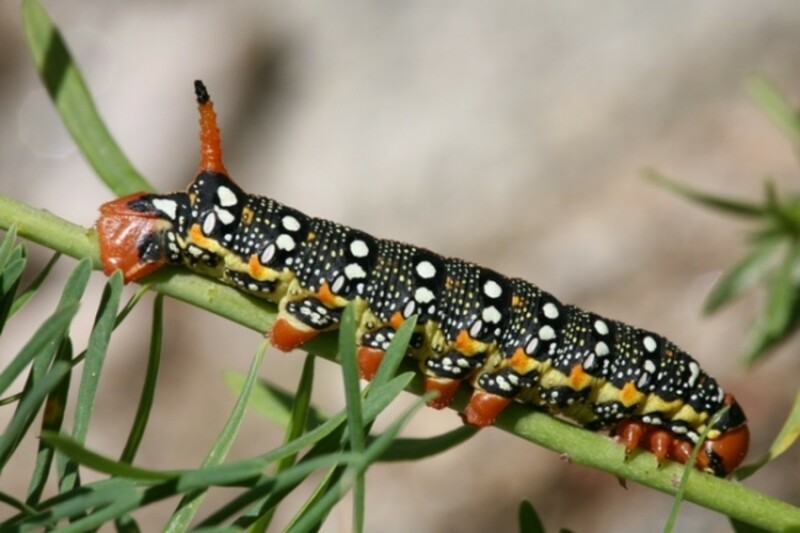 Caterpillars are the larvae of butterflies and moths. 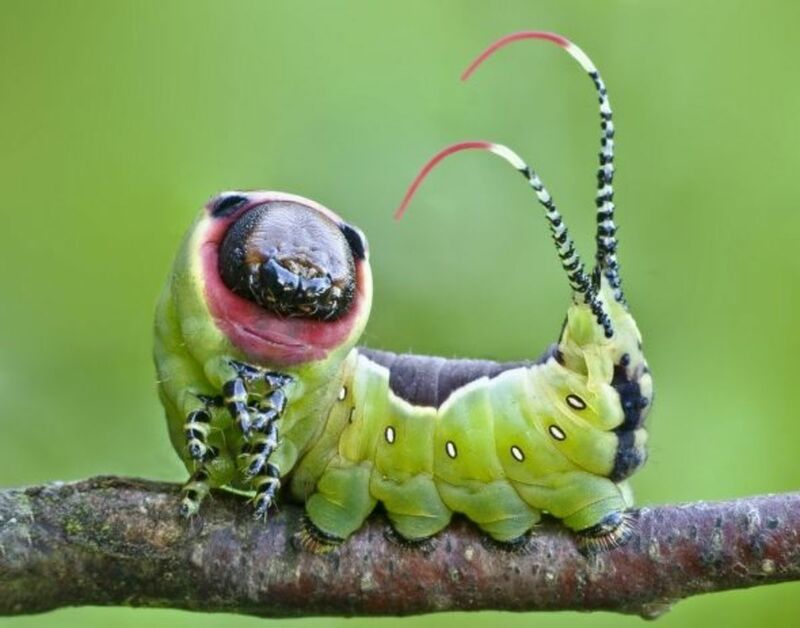 A lot of them look quite attractive and beautiful due to their bright colors and interesting shapes - whether these are meant to help a caterpillar blend in with the environment, or warn potential predators of its poisonous nature. On this page you will find a collection of top 10 amazing caterpillar photos that I've found particularly interesting. This is one of my favorite caterpillar photos of all I've seen! The little guy has a funny face and a pair of awesome red tails. It grows into a Puss Moth that is found in Europe and North Africa. 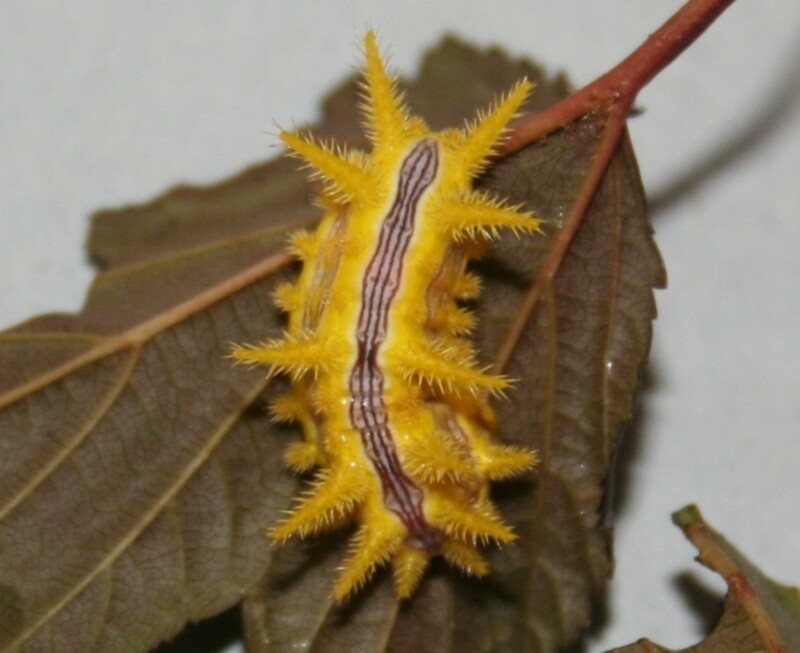 This Cerura vinula caterpillar sure looks cute, but Wikipedia says these things can even defend themselves by spraying formic acid if provoked. You can certainly see where this caterpillar gets its name from! I would like to enlarge it a few thousand times and use it as my epic mount in World of Warcraft. 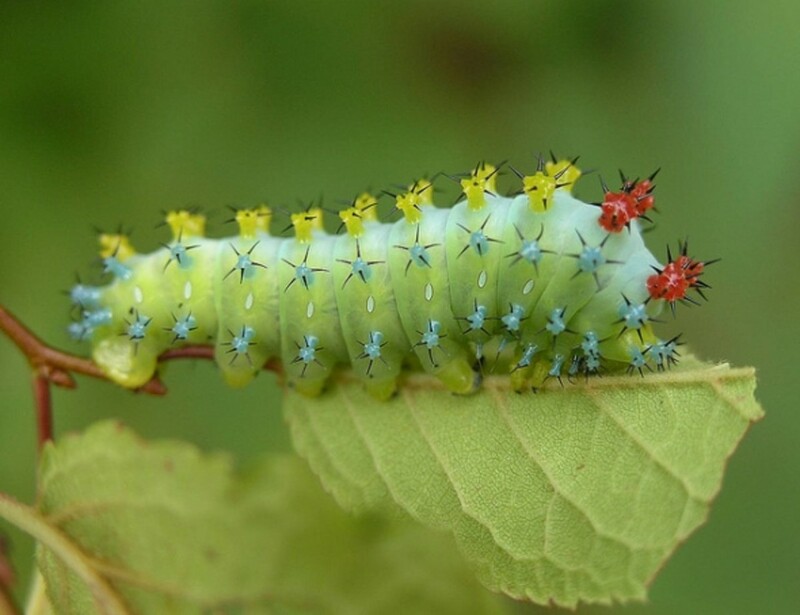 Acharia Stimulea is a very colorful and unusual larva of a moth that's native to North America. It belongs to a family of so-called slug caterpillars which have distinctive, flattened shapes. The spikes you see in the photo actually contain venom; the stings can be painful and even cause nausea. This is one of my favorite cute caterpillar photos. The little guy looks like he's saying "Hello there" with a funny face. It kind of looks like a snake, too - apparently that's a defense mechanism meant to scare away predators. Besides that it can also use a stink attack to ward off foes. 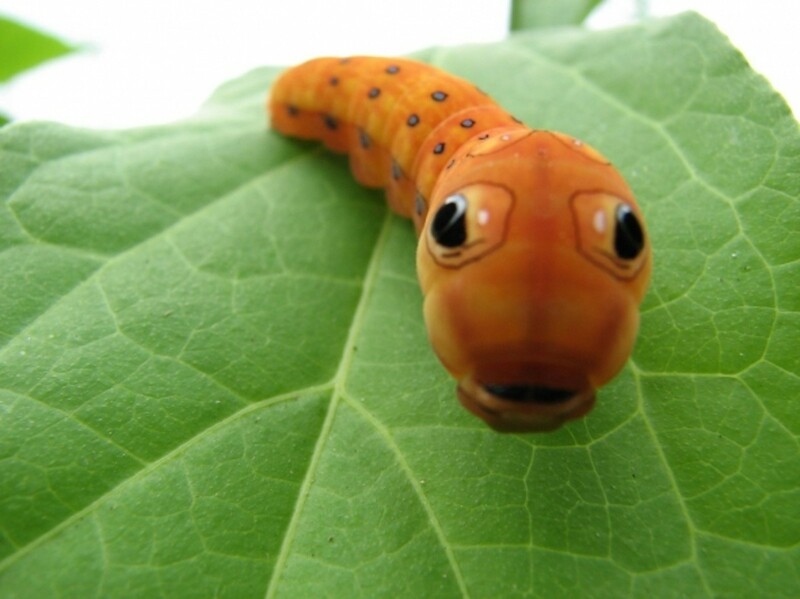 Spicebush Swallowtail caterpillar turns into a butterfly found in North America; it is also the state butterfly of Mississippi. Saturnia pyri is yet another awesome caterpillar that is found in Europe. It turns into a big pretty butterfly called Giant Peacock Moth. It wouldn't be very impressive if it weren't for those brightly colored, almost neon-like spots. This caterpillar kind of reminds me of a tiny crawling cactus. This smooth black Spurge Hawk-Moth caterpillar is actually used a terrible biological weapon... Or to be more precise, an agent of weed control against the leafy spurge. 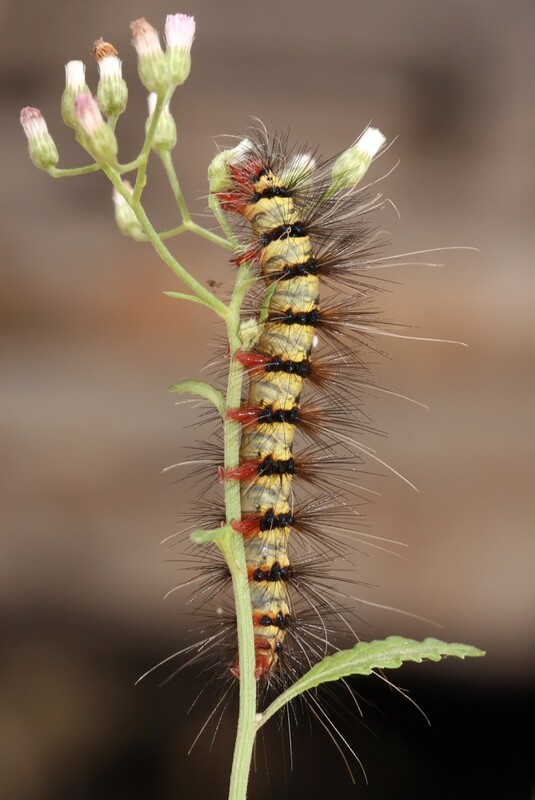 This poisonous weed releases toxins that prevent other plants from growing underneath it; however, it's nothing this brave Hyles euphorbiae caterpillar can't handle. OM NOM NOM. This is another slug caterpillar from the Limacodidae family, so called because of a supposed resemblance to a slug (although if you ask me, it looks much more awesome). It almost reminds me of some sort of sea creature. Like the name suggests, Stinging Rose (Parasa indetermina) caterpillars are somewhat poisonous, and the bright colors are there to warn potential predators that they should stay away. 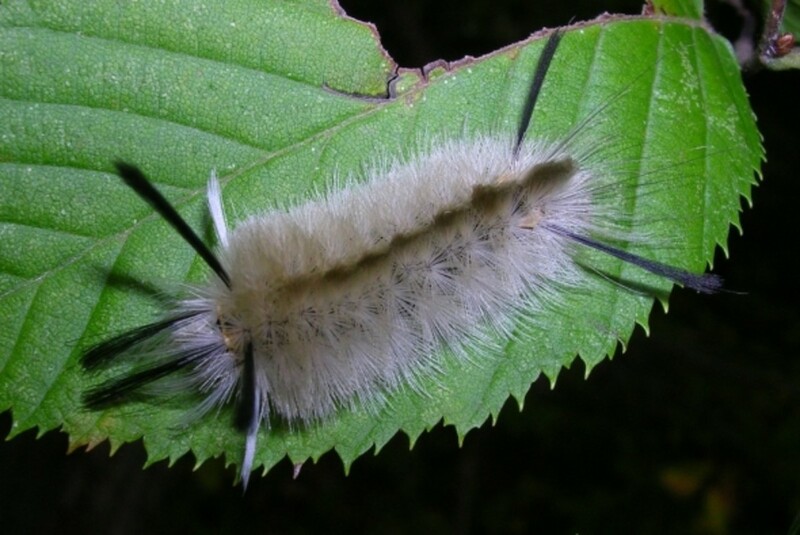 This weird, furry creature that looks like a brush of some sort is a Banded Tussock Moth (Halysidota tessellaris) caterpillar. It uses toxic alkaloids that it acquires from plants to defend itself. The butterflies live in North America. This colorful cactus-like caterpillar is native to the North America. It grows to be huge (can get over 10 centimeters!) and turns into a giant silk moth. Like the name suggests, the Hyalophora cecropia butterfly is really majestic and can have a wingspan of over 13 cm. This neon-green Automeris io caterpillar looks really cool. However, the moth it turns into is even more awesome. They live in North America and can have wingspans of over 8 centimeters. The larvae feed in groups and are often seen traveling in single-file processions all over the plant they're devouring. 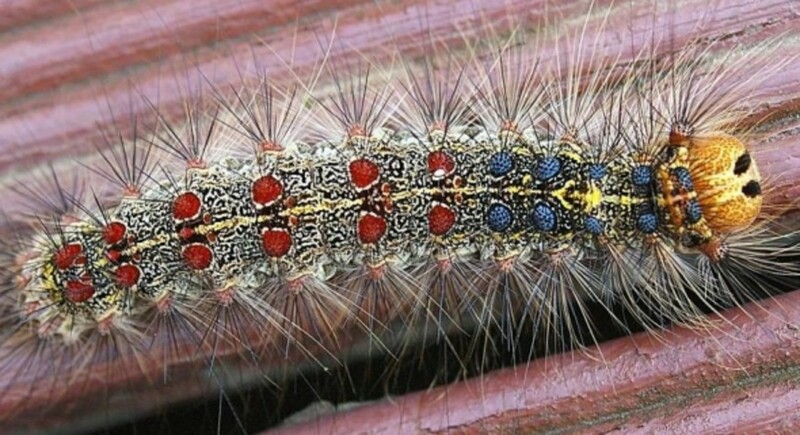 While the adult Gypsy Moths look somewhat boring, the caterpillars look truly spectacular. They were brought to US by a French scientist Leopold Trouvelot back in 1868. 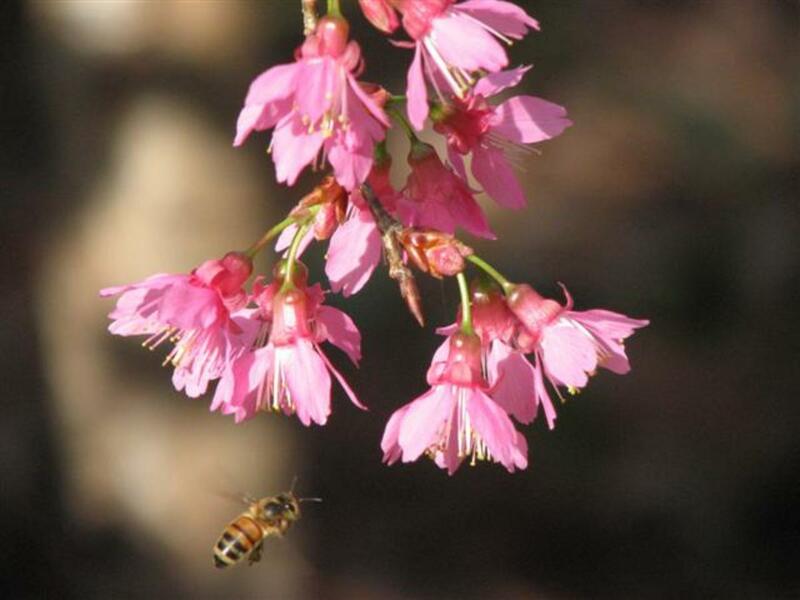 Now they are considered a major pest in the northeastern United States and southeastern Canada. Caterpillars have about 4,000 muscles - compare that to us puny humans who have only 629. They do not have good vision - caterpillars only posess primitive eyes called stemmata. However, they also use antennae and some caterpillars can feel the vibrations of the plant they are on. Caterpillars breathe through spiracles: small openings along its sides. Some aquatic larvae even have gills and are able to breathe underwater! 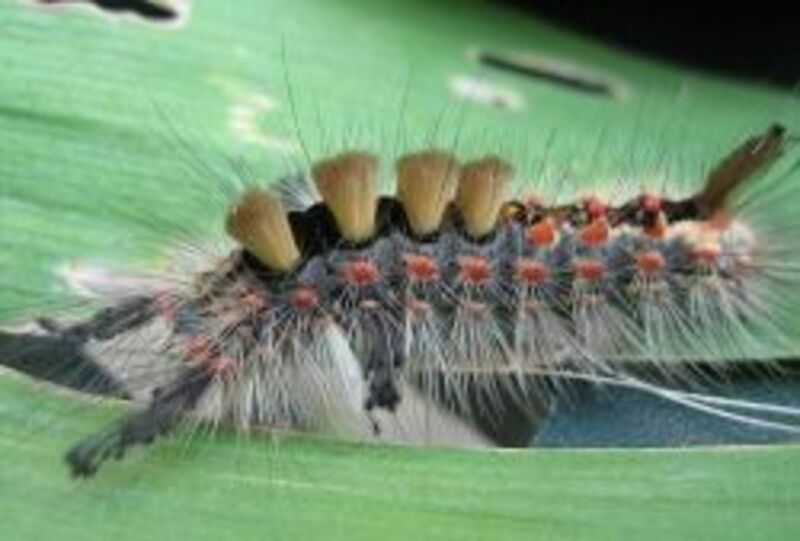 Some caterpillars can defend themselves by using poisonous hairs, unpleasant smell and even by spraying acid. It takes about 5000 silkworms to make a pure natural silk kimono. China manufactures about 54% of world's silk production. Did I say top 10 list? Well, here's a caterpillar video bonus! This hickory horned devil (Citheronia regalis) is huge and quite menacing, but apparently they're pretty much harmless. I love caterpillars. :) They're so fascinating to watch and it's amazing how they can move. Who needs fairies in the garden when there are amazing creatures such as these lovely larvae? Beautiful caterpillars! Those are some pretty cool caterpillars!! Such beautiful images thanks very much for writing about them and the images too. Such a coulorful and beautiful caterpillar photos. Thank you for sharing. These are extraordinary. Thank you! It is such a colorful and beautiful collection. Thank you from a fellow insect lover! Wow these are some awesome caterpillar photos, I like the one with the eyes on top. I don't think I can pick a favorite off of this list - all the caterpillars are cute! What a beautiful God's creation. very pretty, though that's not Automeris io and it turns into a MOTH, not a butterfly! Great lens! Awesome photos. I love caterpillars and butterflies. I heard certain kinds of caterpillars are poisonous. The 4th picture is cute but the 3rd one is downright demonic. Great lens! Caterpillars are so freakish/awesome/cute. Except for the gypsy moth caterpillar..... I unfortunately know all too well what that one looks like. We had a terrible invasion when I lived in Pennsylvania. Bleck! A beautiful and fascinating lens. These caterpillars are works of art. I was amazed at the number of muscles that they have and the fact that some even have gills. This was so interesting. Thanks! Truly stunning photos! Caterpillars and butterflies are spectacular creatures! My favourite is definitely the very first picture (the tussock moth caterpillar with the cute antenna and tail). 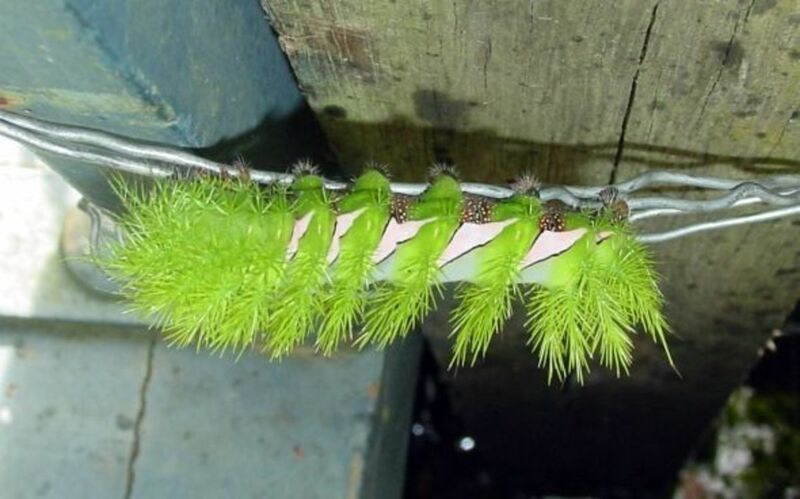 I remember finding one of those caterpillars as a child and naming it 'Fluffy'. If I ever venture to the US in the future, I'll definitely make the effort to see one of those hickory horned devil caterpillars! I'm a Memorial Day Bus Trip and found your beautiful lens! Squid Angel blessed! These are really cute caterpillar pictures. I really like the saddleback one! Oh my gosh, these are beauuuutiful! And that spice ... um ... *scrolling back up to get the name right* ... the spicebush swallowtail is CUTE. I could (almost) kiss its little face. Okay, enough shmoozing. Seriously, though, what a great collection of images. Beautiful creatures. It would appear that happynutritionist and I have the same taste for what we think is worth a blessing. I like this lens as well. You've just been given another April Fool's blessing. Love them all except the dreaded gypsy moth. :) The first one looks like he's posing for the camera. My word! It's worth while taking the time to look closely at these amazing creatures! You have found some incredible caterpillars. @Light-in-me: Thanks, glad you liked it. That weird green one is one of my favorites as well. 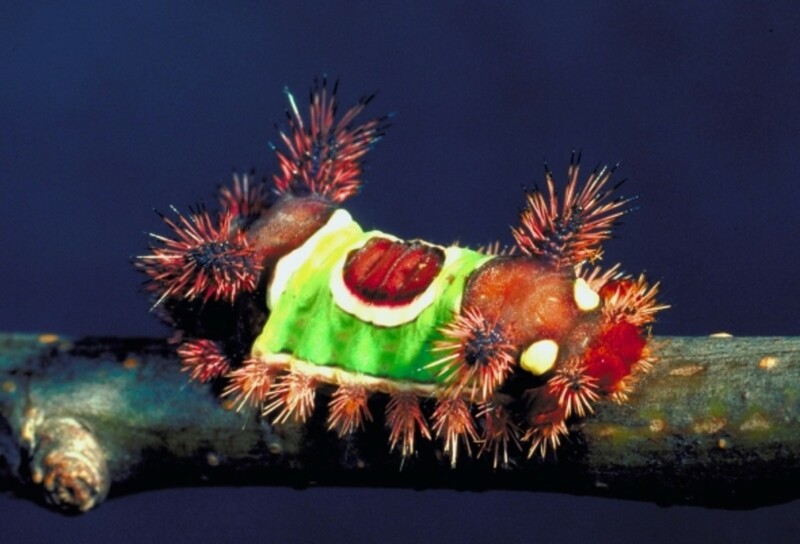 Very cool pictures, the Cerura Vinula Moth Caterpillar looks like a strange space alien! The Spicebush is so cute and cool looking, it looks like a happy snake lol. Oh my goodness, I'm in love with this lens!! :) Thumbs up! Great photos and I love the accompanying commentary. The green feathery one is awesome!